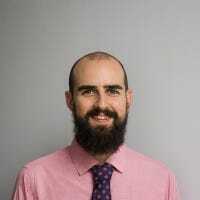 Google Chrome lets you save credit card information for a quick and breezy checkout when purchasing something online. But if you never use this autofill feature and want Chrome to stop offering to save your data, here’s how to turn it off. 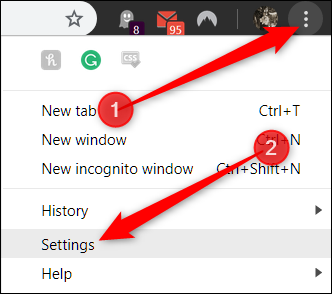 The first thing you want to do is fire up Chrome, click the menu icon, and then click on “Settings.” Alternatively, you can typechrome://settings/ into the Omnibox to go directly there. For this next part, we’re going to head into a part of Chrome you may not have known existed: Chrome flags. These are often experimental features that let you test out things that are currently in development for Chrome. Before you start clicking and tweaking your little heart out, remember that most of these features are not finished. They’re mostly there, but not completely. As a result, these flags can cause your browser or computer to become unstable—and the more flags you tweak, the higher the chances of this happening. We’re not trying to scare you away from trying things out, of course, but you should keep your expectations in check. Also, Google might remove any of these flags at any time, so if a feature suddenly disappears, it could potentially have been discontinued. It doesn’t happen very often, but it does happen sometimes. Once the address opens up, type “Credit Card” into the search box. When enabled, credit card autofill suggestions no longer display when accessing payment fields and forms. Next, to make sure no more windows pop up and offer to save your information, let’s look at a couple of other flags to disable. These changes will take effect the next time you relaunch Chrome. 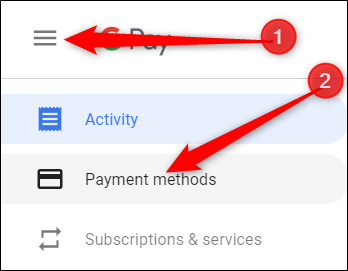 Next, to prevent all of this information from syncing to any of your devices connected through your Google account, we’re going to turn off syncing of payment methods in Chrome. Click on your profile picture, then click “Syncing to.” You can also type chrome://settings/people into the Omnibox and hit Enter. Under the People heading, click on “Sync” to open up a full list of everything synced to your Google account. On the next screen, everything that gets saved to your account and synced across all your devices is listed below. By default, “Sync Everything” is enabled. 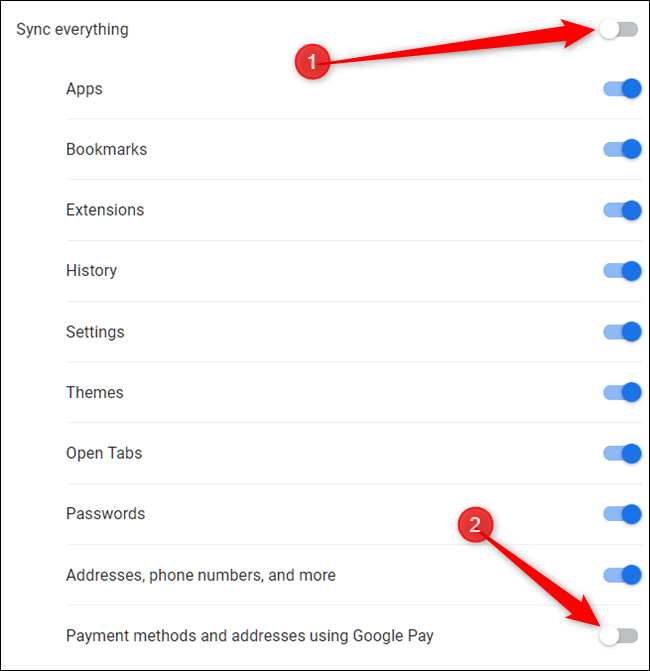 To manually toggle what information to sync to Chrome, you first have to turn off “Sync Everything,” and then disable “Payment Methods and Addresses Using Google Pay” by toggling the switch across from it. After this card is deleted, you’re one step closer from wiping all payment methods from Google’s memory. 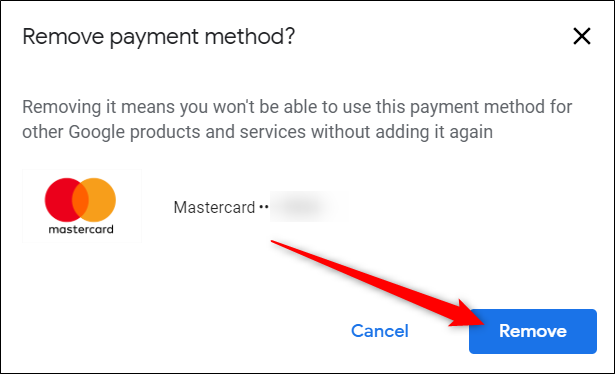 If you’ve turned sync on for payment methods in Chrome and buy something online, Chrome may have asked if you want to save a credit card to your Google Pay. If you accepted, your card might have been saved in Google Pay. 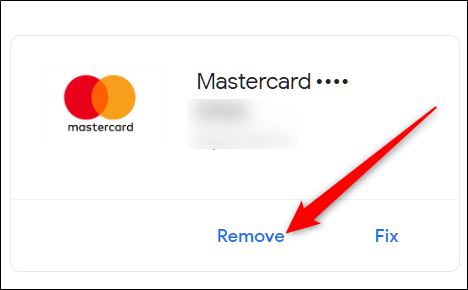 Here’s how to remove it from Google Pay as well. That’s it. Now, whenever you complete a form containing credit card information, Chrome won’t ask you to save this personal information to use in the future when filling out payment information.